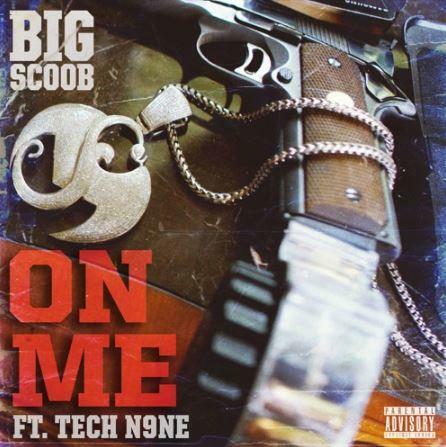 Home>New Songs>Big Scoob Songs> Tech N9ne Assists Big Scoob On New Track "On Me"
There's no doubt that Strange Music has been an undeniable force in underground hip hop. While Tech N9ne's helped build the template for independent rappers, he's also brought a whole lot of talent to the game with the label including his artist Big Scoob. Scoob's been in the game for a minute and proven with each release in his career that his pen game is fierce. Today, he proves it once again with his latest track, "On Me." Big Scoob recruits Tech N9ne for his latest record, "On Me." His new track comes ahead of his forthcoming album, Duality, which is set to drop this Friday. The track has a west coast bounce to the production while Scoob goes double time on his verses while Tech N9ne handles hook duties on this one. Keep your eyes peeled for Big Scoob's Duality album due out this Friday. SONGS Tech N9ne Assists Big Scoob On New Track "On Me"